Need a yoga teacher for your work place, event, or private, 1-on-1 lessons? Deep Stretch Yoga: Stretch Therapy Yoga is an deep stretching class that stretches all the muscles in the body. Tight muscles can cause imbalance and pull the body out of alignment. 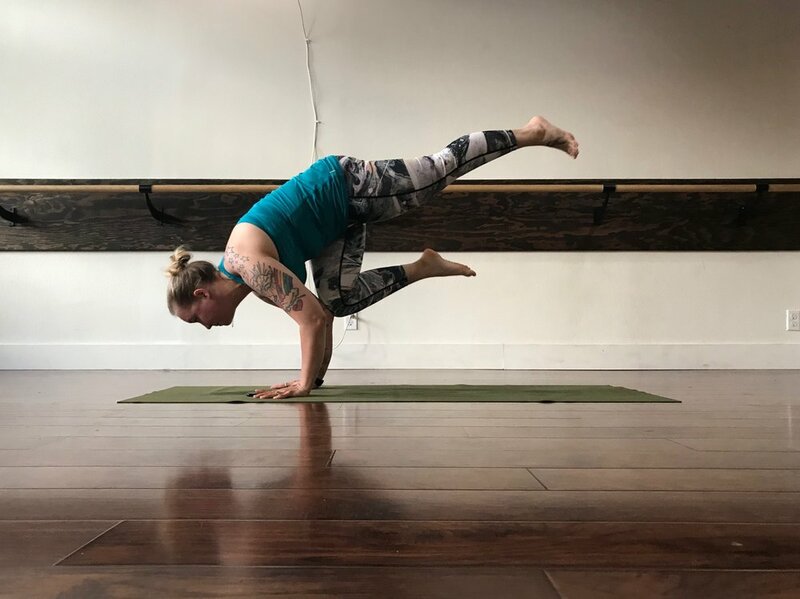 This class will incorporate all the rotations of the joints and focus on breath work to help you dive deeper into your fascia and muscles, as well as help you to become more connected with your body and what is happening in it. Adjustments will be given for some poses in this class to help the student move deeper into their muscles and body. Hatha Yoga: Hot Hatha is a new YFL-specific series of static strengthening and stretching poses with breathing exercises designed to systematically tone and balance each part of the body and provide a complete mind/body workout. Students of all levels will benefit from these postures which help burn fat, tone muscles, improve circulation, and strengthen the immune system. Be prepared to sweat. Yomassage™: Yomassage™ is a fusion of relaxing and supported yoga poses with hands on massage therapy. Each pose is held for around 5 minutes while a massage therapist comes around and performs manual massage on different parts of the body. Classes can range from 1-8 people and last for 60-120 minutes. All classes are great for all levels of yogis from beginners to experienced practitioners. I teach about 2-3 classes a week at Yoga for Life in North Portland with an incredible group of teachers. New to the studio? Yoga for Life offers 1 of the best deals in town... 4 weeks of classes for just $40!! Classes are held at Yoga for Life on N Fremont St, near Mississippi Ave.